Ford Motor Company of Southern Africa (FMCSA) has expanded its vehicle export operations by adding Port Elizabeth to Durban as a vehicle departure point. 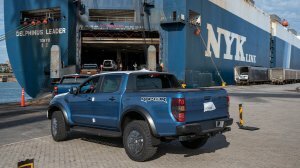 Prior to this, all of Ford’s incoming and outbound vehicles were processed through Durban’s Roll-On Roll-Off (RORO) terminal, which is the country’s primary import and export hub for most original equipment manufacturers (OEMs, or vehicle manufacturers), vehicle importers and distributors. “We are experiencing unprecedented demand for the Ford Ranger around the world,” says Ford Middle East and Africa operations VP Ockert Berry. The result of this is that FMCSA will now be shipping vehicles twice a month to various receiving ports in Europe. The Ford Rangers, which are produced at Ford’s Silverton Assembly Plant, in Pretoria, are transported to Port Elizabeth using Transnet Freight Rail. 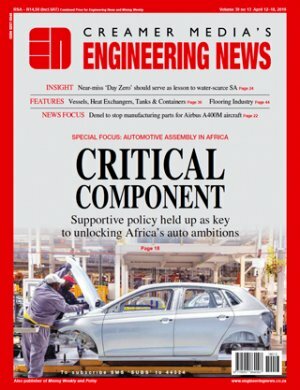 Traditionally, Port Elizabeth-based vehicle manufacturers transport units to Gauteng by rail, with these rail assets returning empty. Ford will now use the return leg to move export vehicles from Silverton to Port Elizabeth, for shipping to selected markets around the world. “This will assist us in making the shipping and delivery from South Africa more cost effective, efficient and faster,” notes Berry. Ranger exports from FMCSA's Silverton plant reached an all-time high in 2018, with the company shipping 68 364 units to export markets. This is a 16.2% increase compared with 2017.